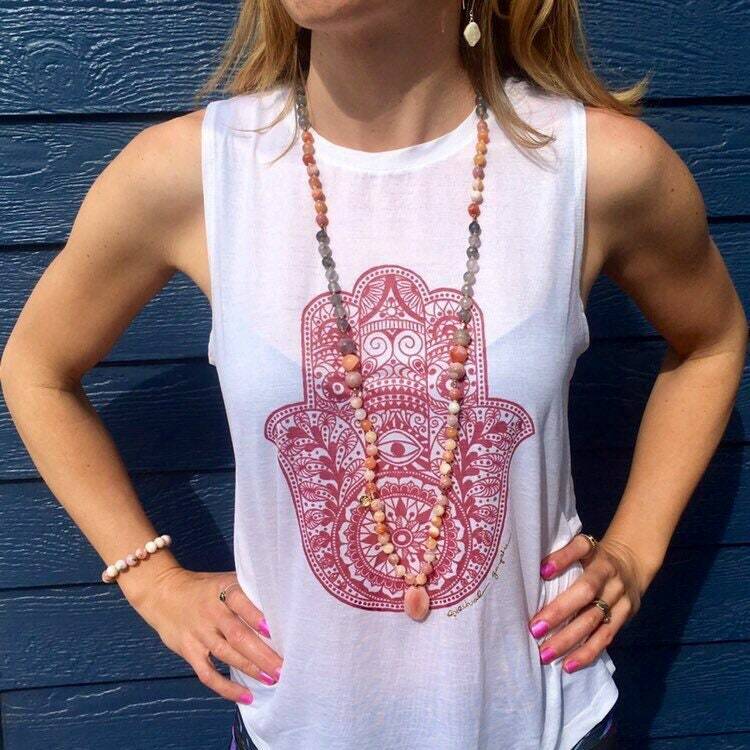 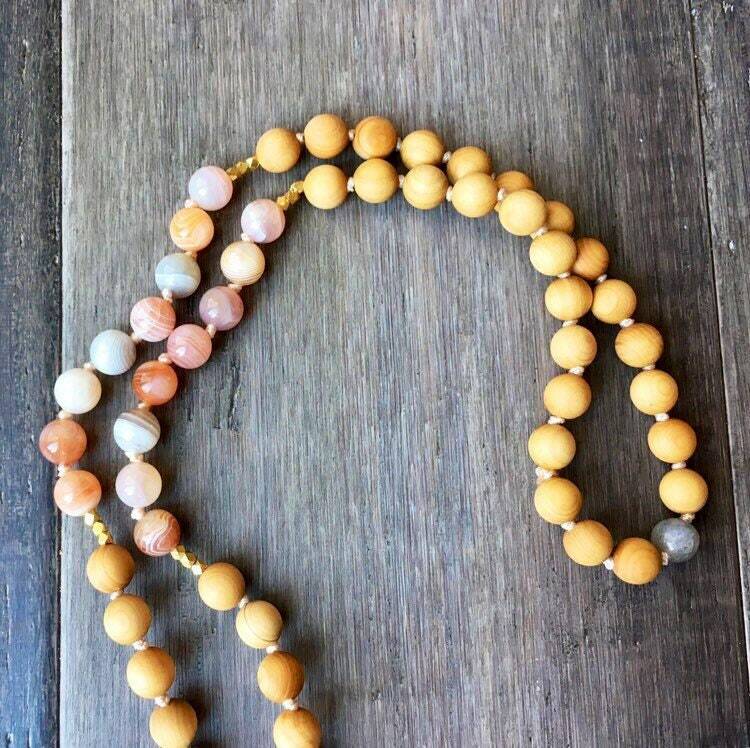 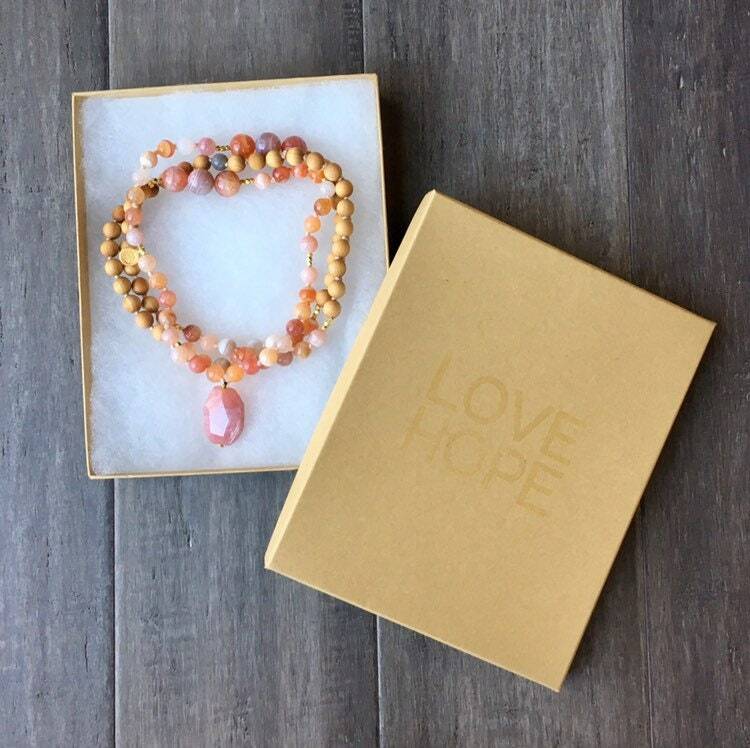 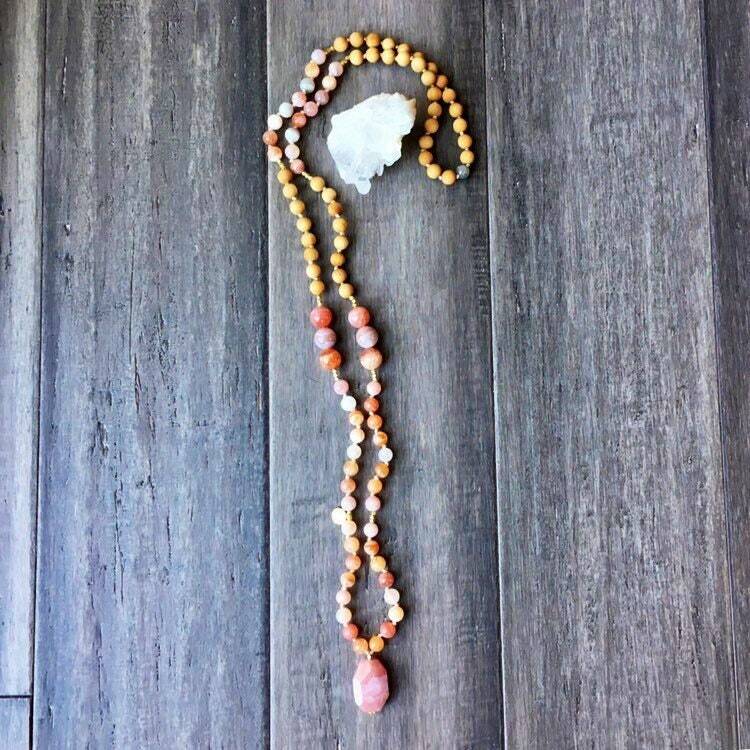 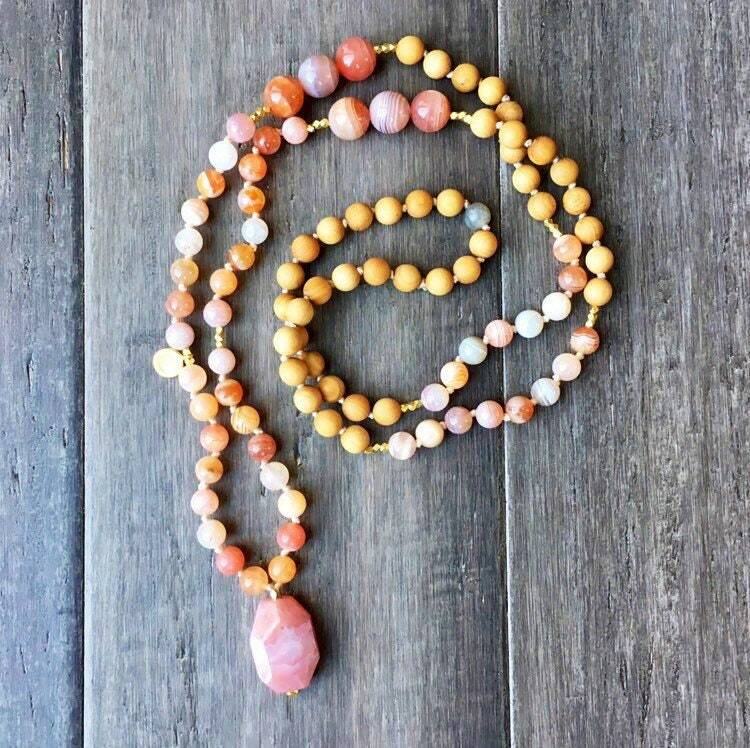 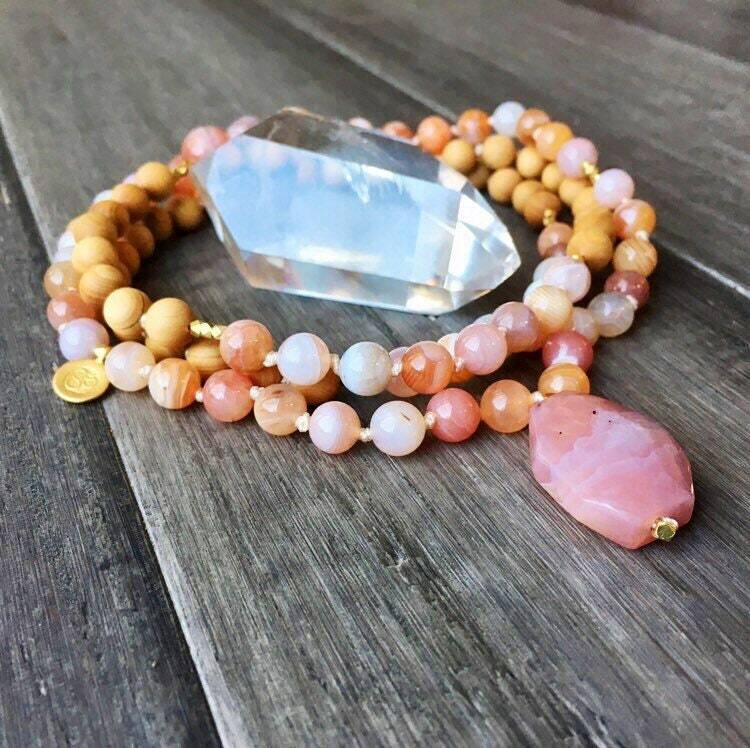 Awaken your Aura and connect to your Crown Chakra with this Pink Botswana Agate Mala Necklace. 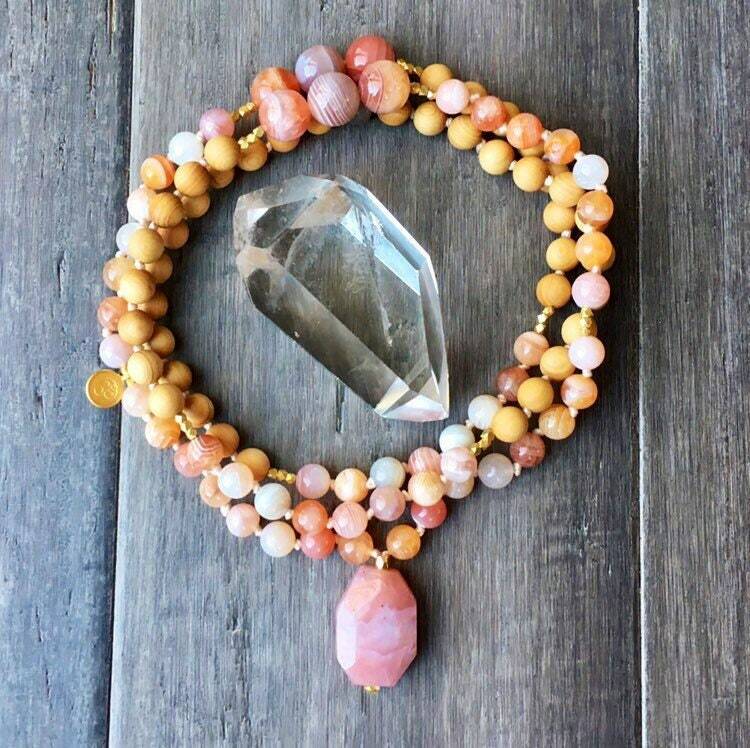 Connect and open your Crown Chakra with Pink Botswana Agate gemstone. 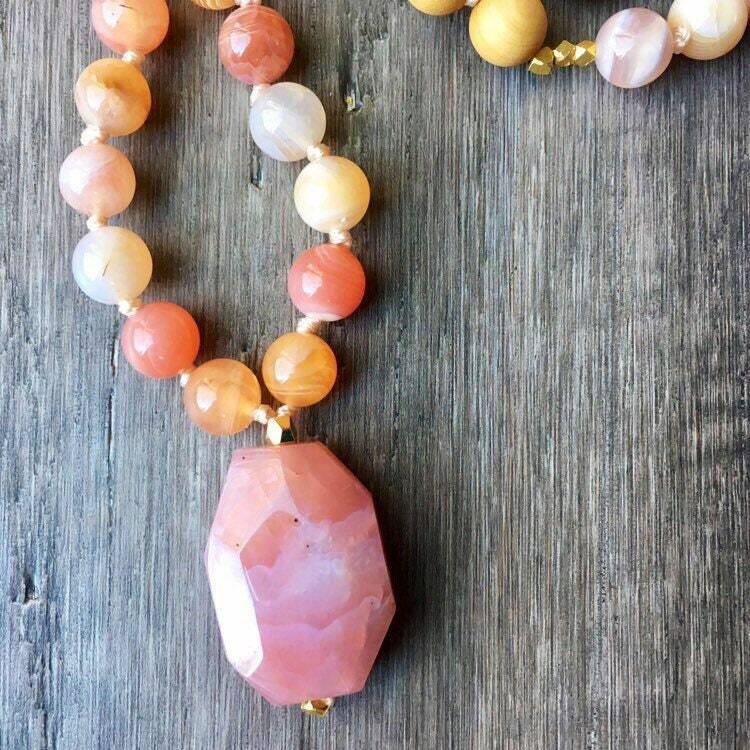 Agate also cleanses, stabilizes and awakens ones aura, eliminating and transforming negativity. 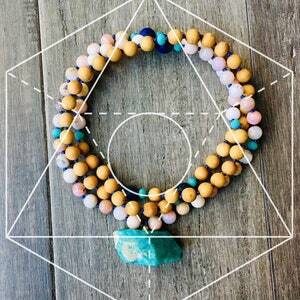 It is an excellent stone for rebalancing and harmonising body, mind and spirit. 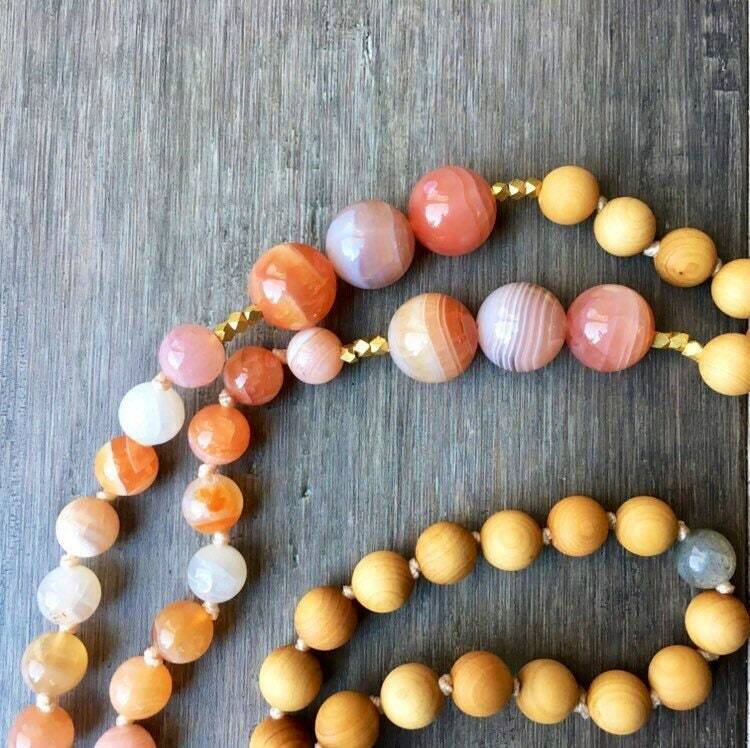 Agates are firmed from microscopic Crystals of Quartz laid down in bands, making it a very stable and grounding gemstone. 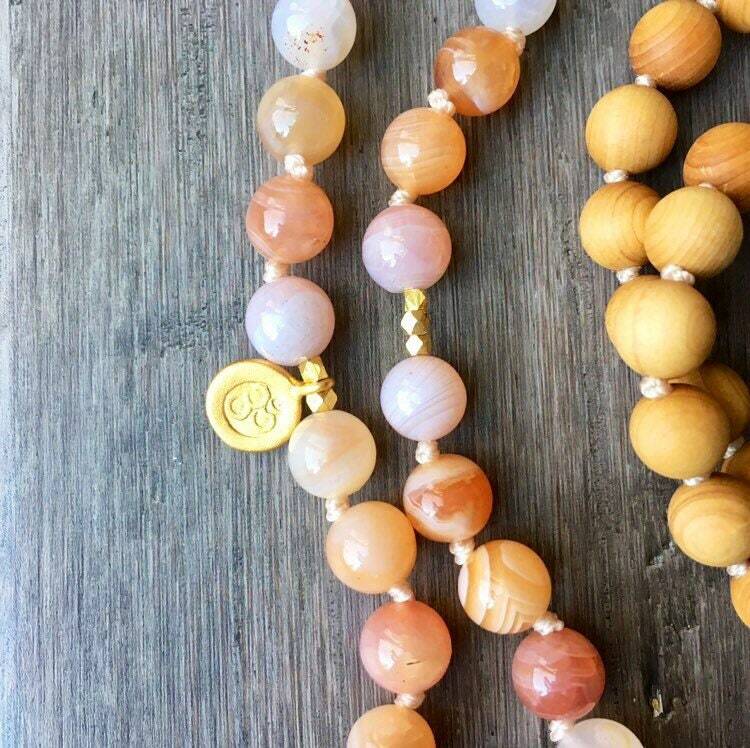 Agates healing properties have a gentle frequency that can help to calm and soothe your emotional body, clearing and calming the heart to bring a sense of love, peace and hope. 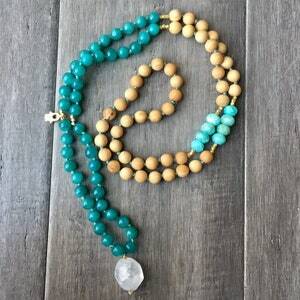 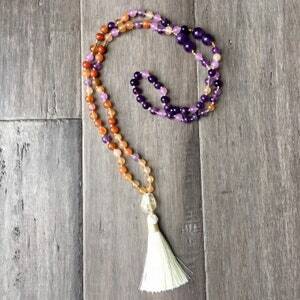 We use the highest quality materials to hand craft our Mala Necklaces. 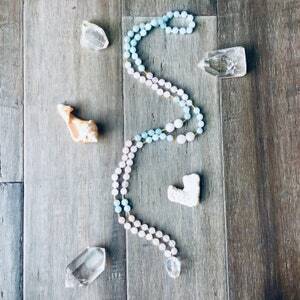 Spread some love!